Performers include: Lisa Joyner and Tim Green (hosts). This reality program seeks to reunite lost loved ones via emotional journeys that are all captured for the camera. Each episode is self-contained and starts by establishing the emotional back stories of one or two different families who are in search of lost relatives. With limited information, a research team undertakes the difficult task of sifting through archives and tracking down records, looking for missing links. A follow-up with each family concludes each episode. ABC only aired the first five episodes and cancelled the series. 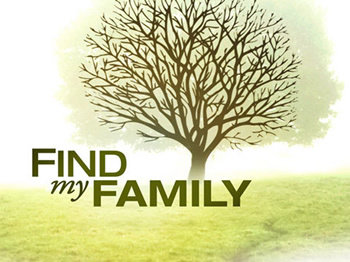 Find My Family: Mixed Premiere Ratings; Cancel or Keep It? Hi, I’ve been helping my Uncle from Canada find his Aussie biological father. He has just been here in Sydney recently to visit us and also visit the land of his never seen father. He is now 65 years old and has just recently undergone a 5-valve heart bypass. I’ve made some progress in tracing his Dad based on deceased relatives information. If you can help us please, it is most appreciated. Thank you and God bless. looking for contact info for these people that did the show?